Bob Bynum has their attention! 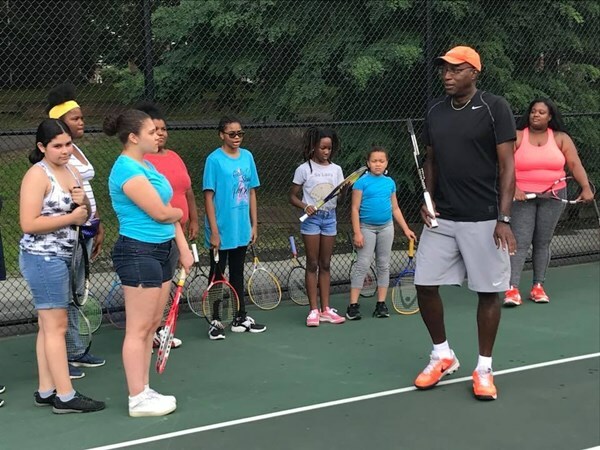 Newark, NJ - On Sunday, July 29 at the Althea Gibson Tennis Center at Branch Brook Park in Newark, a new tennis program was initiated by the Greater Newark Tennis And Education Program, headed up by NJ Region Board Member Bob Bynum (far left in the above photo), which is targeting players from the Girl Scouts Of Newark. The goal is to encourage these young ladies to learn and get involved with the game, and at the same time continue their education goals and requirements. 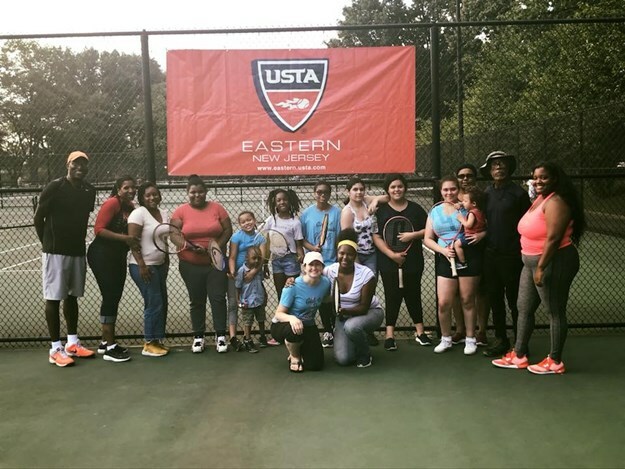 Several of the girls from the initial event will be joining the GNT&E Program to continue their tennis experience. 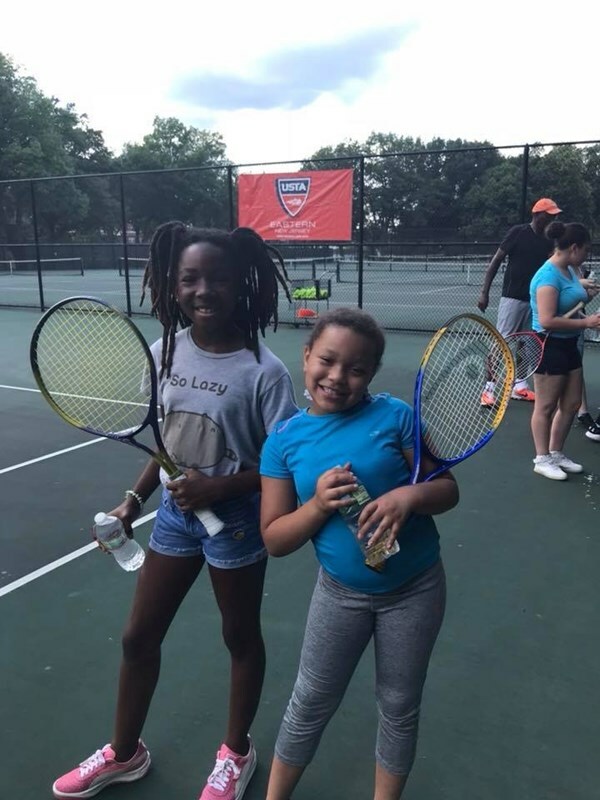 All of the participants were new to tennis, so this was an exciting start! We look forward to hearing about the growth of this program!